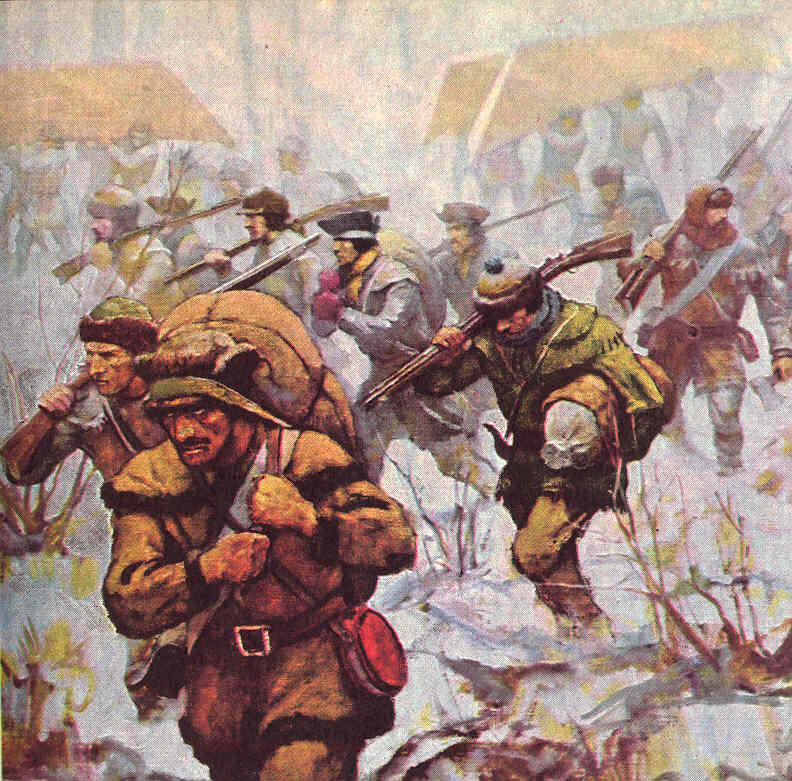 General Arnold's march on Quebec in 1775 was fraught with adversity from the very start. His maps and boats were supplied by men loyal to the Crown, and the trek through the wild forests of Maine could not get under way until the first cold nights of autumn had set in. Of the eleven hundred men that set out to conquer the seat of British power in the Canadas, only seven hundred made it to the walls of Quebec. The woods, rivers and waterfalls claimed men and supplies, and as winter set in, savage creatures stalked the column. Had it not been for the bravery and determination of Benedict Arnold himself, and for the fierce magicks of the dark eyed sorcerer who rarely left the general's side, few doubt that the outcome would have been anything but a complete tragedy. As unrest spread, and eventually matured into war, the United Colonies realised that they would stand no chance against Britain without a cadre of magicians of their own. With no arcane college in the colonies they've had to draw upon any spellcaster available. Some American-born wizards have left the service of the Crown and joined cause with the rebels, but the majority of this cadre have been made up of back-country sorcerers, journeyman magicians, and even a few pagan druids. The British response has been as expected. Any spellcaster opposing the lawful rule of their King is named a traitor, and the Parliament has recently passed a law allowing for witch-trials to be conducted in absentia. As regiment after regiment of Redcoats land on American shores, so does an increasing number of wizards and Paladins. The American siege of Quebec has ended in failure, and the British have withdrawn from Boston. There are few who now doubt that a full fledged war is not only unavoidable, but that it has already begun. In Canada General Arnold and "Raven Jack" Corey are being pursued by Captain Sir Edward Royce, Paladin by the Grace of Our Lord, and member of His Majesty's Own Troop of Horse Guards. As history unfolds, these men will have to face hardships and terror, and the fate of a nation hangs in the balance. Sounds fun, but no Mage? Still going with your homemade D&D?